Reading and share top 5 famous quotes and sayings about British Humour by famous authors and people. 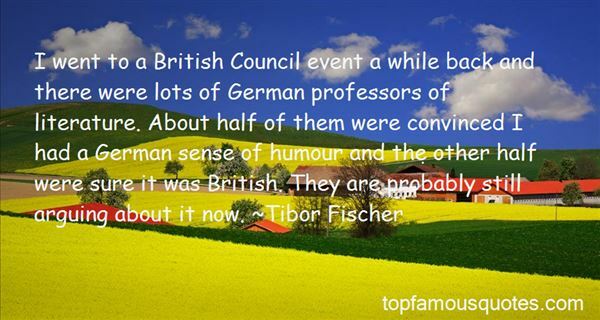 Browse top 5 famous quotes and sayings about British Humour by most favorite authors. 1. "I was tempted to tell her it was because we were British and actually had a sense of humour, but I try not to be cruel to foreigners, especially when they're that strung out." 2. "Since I was 12 or 13, I have been taking movie meetings finding a project right for me because I wanted to try it. 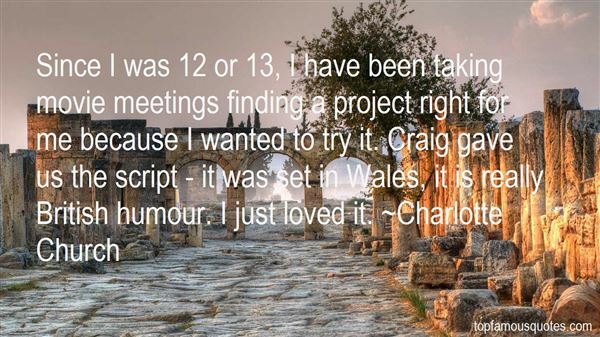 Craig gave us the script - it was set in Wales, it is really British humour. I just loved it." 3. 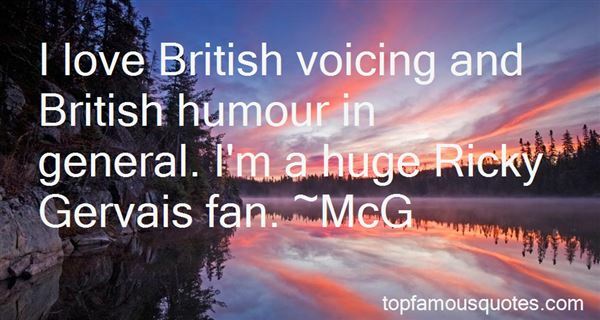 "I love British voicing and British humour in general. I'm a huge Ricky Gervais fan." 4. "The British have turned their sense of humour into a national virtue. It is odd, because through much of history, humour has been considered cheap, and laughter something for the lower orders. But British aristocrats didn't care a damn about what people thought of them, so they made humour acceptable." 5. "I went to a British Council event a while back and there were lots of German professors of literature. About half of them were convinced I had a German sense of humour and the other half were sure it was British. They are probably still arguing about it now." Practice without improvement is meaningless."